Funeral sheaf in red colours. Forever in our thoughts. 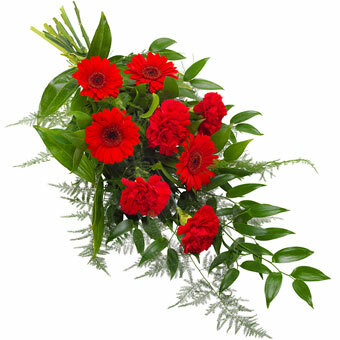 Send your personal greeting along with this lovely funeral sheaf in red colours. It will contain flowers like germini, dianthus and decorative greenery.